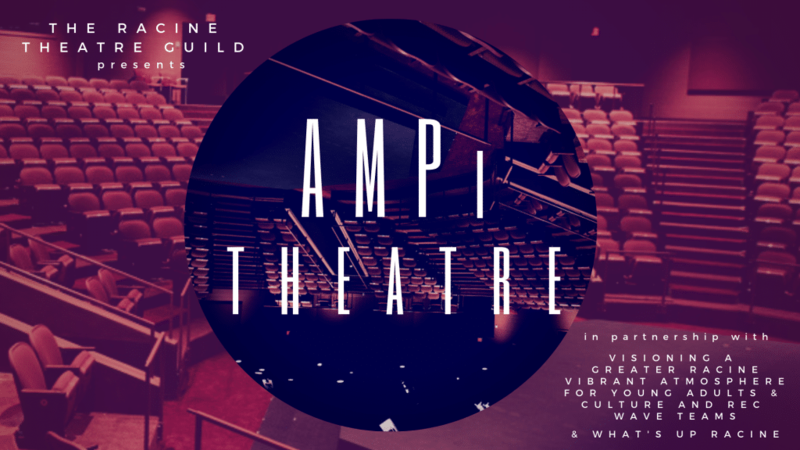 The Racine Theatre Guild, in partnership with Visioning a Greater Racine Vibrant Atmosphere for Young Adults and Culture & Rec WAVE Teams and What’s Up Racine, is excited to launch their new AMPitheatre program. AMPitheatre is focused on giving young adults, professionals, and college students throughout the Racine area a chance to make friends and network while learning more about theatre and enjoying RTG performances. AMPitheatre nights will a free drink (soda, wine, or beer) included with your ticket, a brief talkback with Joycelyn Fish, director of marketing and development, after the performance, a tour of the theatre, and a chance to meet the cast and crew. Tickets can be purchased online, by calling the Box Office at (262) 633-4218, or stopping in Monday – Friday, 12 – 6 p.m. and 90 minutes prior to the performance at 2519 Northwestern Ave., Racine. To ensure you get the AMPitheatre perks, mention you are with the group and/or check-in at the Box Office the night of the show! Don’t forget to check-in and tag photos from AMPitheatre nights using #RacineTheatre or #RacineAMPitheatre! Interested in staying up-to-date on AMPitheatre happenings? Sign-up for our email list today! Questions? Contact Joycelyn Fish a joycelyn@racinetheatre.org!